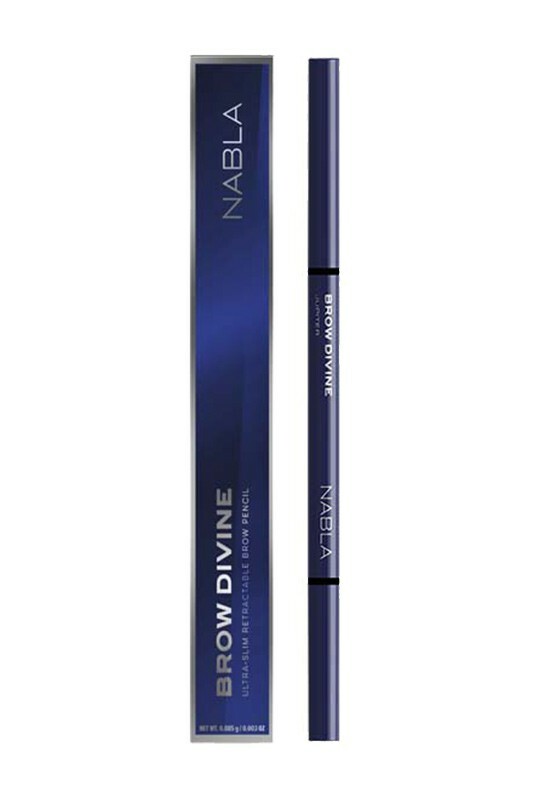 The Nabla Brow Divine is a long-wearing self-sharpening brow pencil flawlessly outlines brows. Neither too hard nor too soft, the ultra-fine retractable tip fills even the smallest gaps with precise, hair-like strokes. 0.085 g / 0.003 oz. 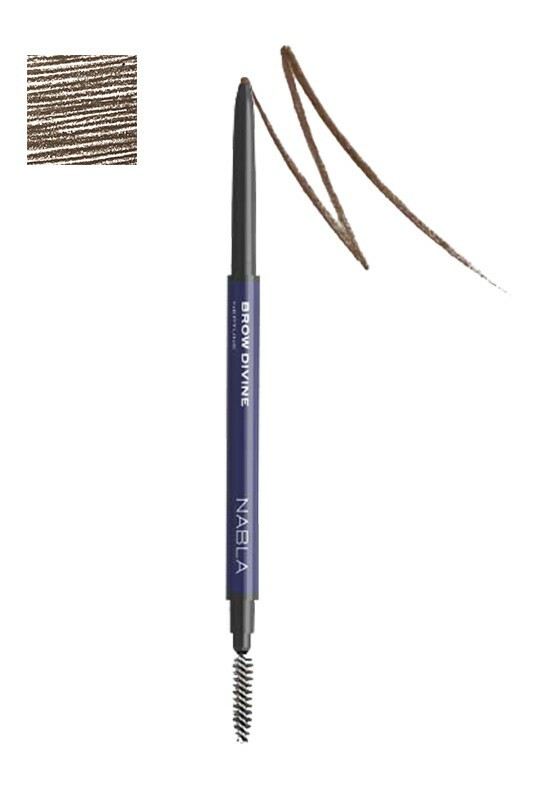 Define naturally your brows with NABLA 2 in 1 Eyebrow Pencil ! 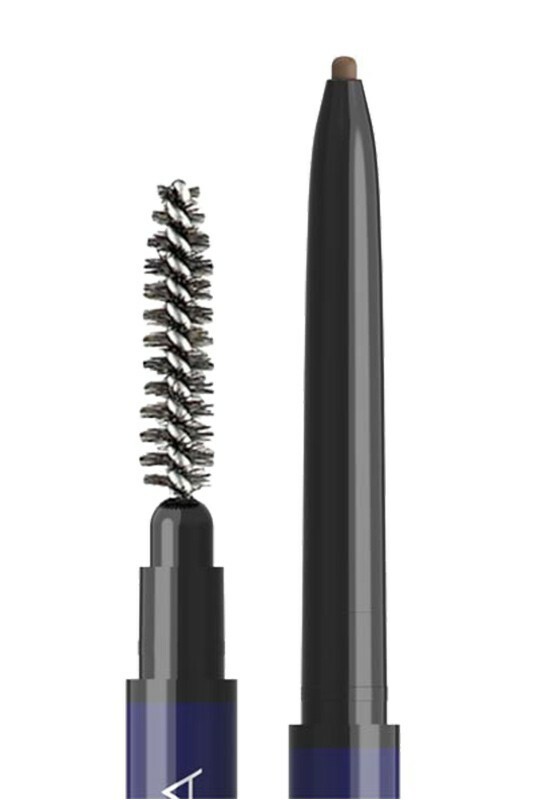 STEP 1: Comb brows with the rear brush to emphasize the natural brow arch. 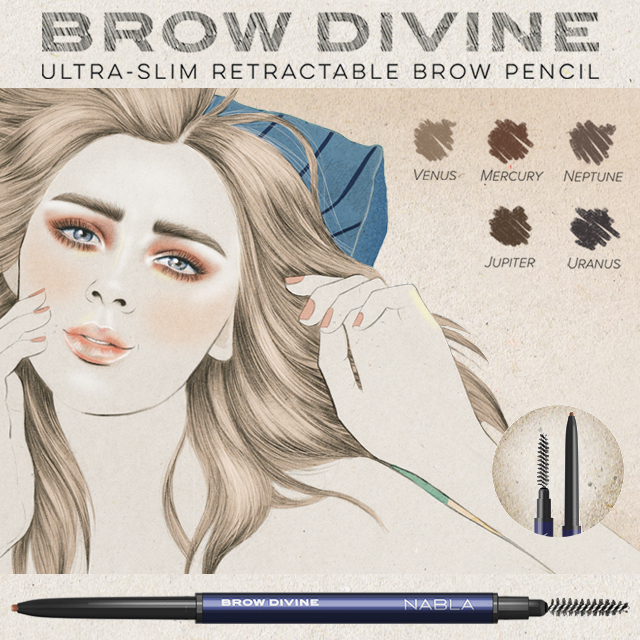 STEP 2: Choose a pencil 1 or 2 tones lighter than your natural shade to define the shape and fill in small gaps. STEP 3: Use a pencil in your natural shade or one tone darker to give three-dimension to the brow, drawing small strokes over the light base created in STEP 2. STEP 4: For a better natural shade, brush your brows with the rear brush. 5 different shades for your brows ! Nabla Eye Brow is free from : silicone, parabens, mineral oil, parabens, phtalates, pegs and edta !